This is me. 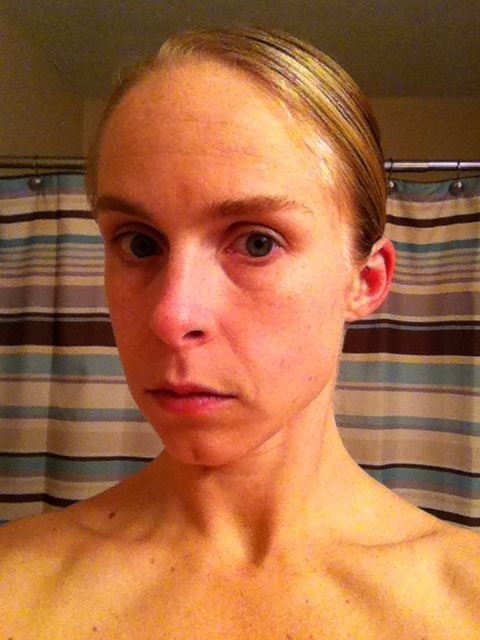 No makeup, no fillers, no lifts, no airbrush – nothing. This is how God made me. Clean and sober. Clean from the lies, manipulation and judgment. Sober from the alcohol that almost ruined my life. I never thought the day would come when I would say this, but I am truly a grateful alcoholic. A year ago today, my husband asked me if I was ready to stop drinking for good. I knew it was coming, but to hear the words hit me in the pit of my stomach. Was I ready? No. Deep down I didn’t want to despite the devastating harm I had caused myself and my family. I could not imagine my life without alcohol. However, I knew I had to give it a try. If not for myself, I had to do it for my husband and my children. That was the first day of the rest of my life. On Super Bowl Sunday, I attended my first recovery meeting. Before, we had gone to a friend’s house for a small get together and oh how I wanted to drink. Come on! This was the Super Bowl! Who cared about football, it was a legitimate excuse to get smashed! I didn’t drink and I was miserable. I left my husband and children there and drove to my first recovery meeting alone. It was possibly the scariest thing I have ever done in my life. It was a women’s only meeting, but it didn’t matter. Walking through the door, I was terrified I would know someone, or even worse that someone would know me. What would I do? What would I say? Of course, it didn’t occur to me that they would be thinking the exact same thing. No, it was all about me. We, alcoholics, are good at making everything about us. I introduced myself as an alcoholic, not truly believing that I was. It was the last place on earth I ever imagined myself. How could this be happening? How did I end up here? What now? God, I was scared. I was so scared. It was like a dream I couldn’t wake up from. If only they could see the truth. I was smart, educated, well-liked. Sure, I liked to have a good time, but I was NOT an alcoholic. And, yet, by the end of the meeting I found myself with a sponsor and attended a meeting every day for the next 30 days. I would like to say that I got it immediately. I would like to say that I’m celebrating a year of sobriety this weekend, but I’m not. I was angry and I kept holding onto the fantasy of being “normal” again. I held onto it so tightly that it led me straight back to that first drink. Believe me, no one grows up hoping that one day they will be declaring themselves an alcoholic. It was the LAST thing I ever thought I would be. I finally got it. I finally stopped fighting and surrendered to this path that God put me on. I cringed when I would hear people say that they were grateful alcoholics, but now I get it. I get it because I have experienced the promises of leading a sober life. I have experienced the joy and peace of living a life that is authentic and honest. I accept who I am; all of me. Because, I am exactly the way God intended for me to be. The good, the bad and the ugly. Tomorrow, on Super Bowl Sunday, I will be extremely grateful to be surrounded by my sober friends at a sober party – yes, they do exist. Awesome. You sum things up nicely. way to go! Thanks! And, thanks for reading. I’m grateful to have the opportunity to share my story. Congratulations on your year! What an inspiration you are, and your lovely spirit shines so bright. Thanks, Ellie! And, thanks for all YOU do for the recovery community! A mutual peeker, Emily Grace gave me your blog link and I’m so *Inspired* by what I’ve been reading of your posts. Thank you for being a bit like me in being brave to sharing your recovery journey with others. My demon was addicted gambling & drinking to much when I gambled. When I stopped drinking, I didn’t stop gambling, so that was the real addiction I had to work on. I just celebrated 7yrs in recovery a few months back and I have to say, what a much better life than addiction! I love your style of writing, and I do the same, the words fall my heart into the key board of my laptop. I love helping, and being in recovery service to others. I’m a New Fan! I wish you love & success in your recovery journey,…. Thanks, Catherine! And, congrats on your recovery! Seven years is quite an accomplishment and nothing to be taken lightly. You should be VERY proud of yourself!